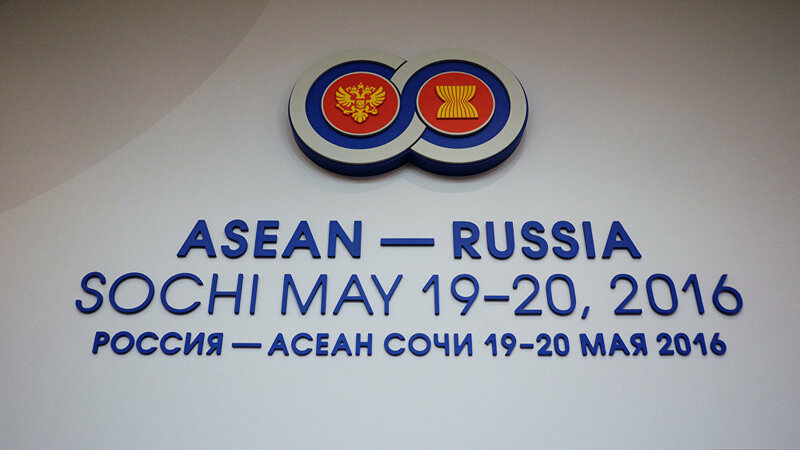 The logo of the ASEAN-Russia Summit. 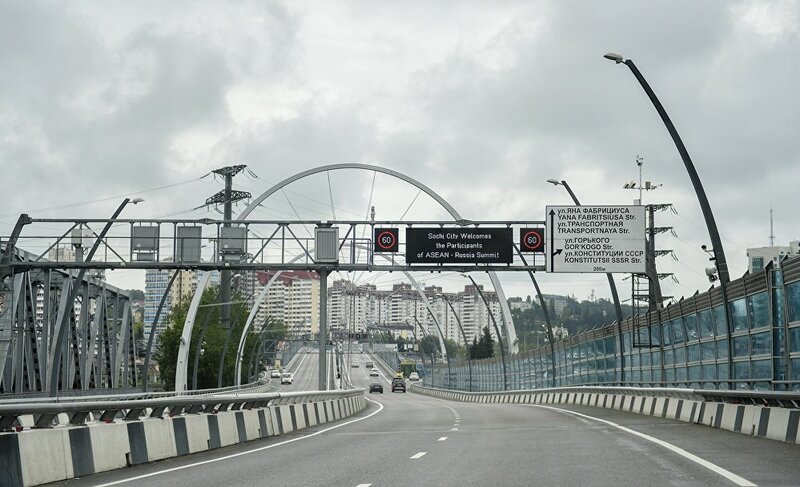 An automobile road in Sochi. 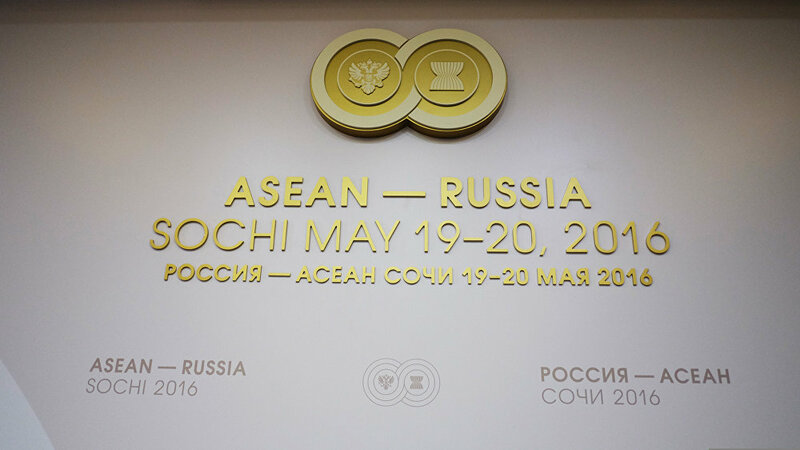 The Congress Centre of the ASEAN-Russia Summit in Sochi. 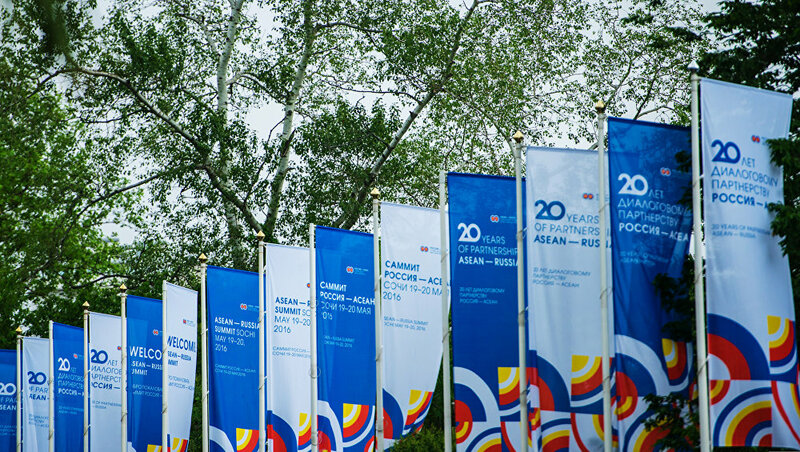 Flags in the Sochi Congress Centre, where the ASEAN-Russia Summit events will take place. 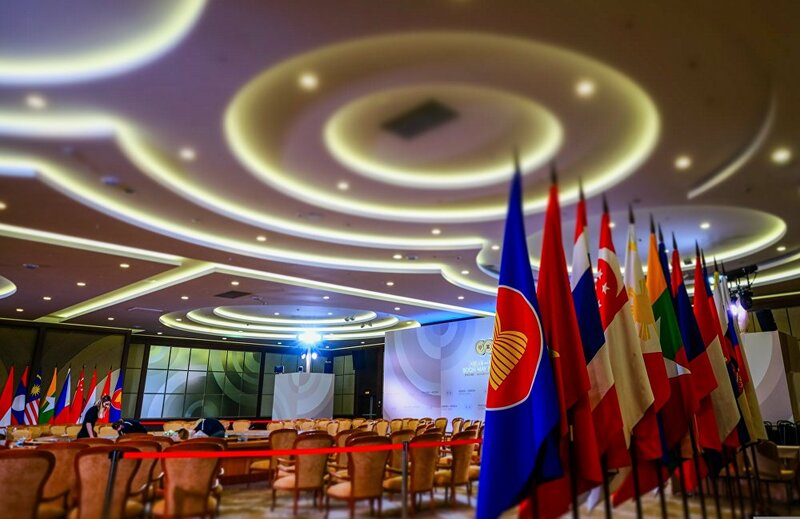 Flags in the Congress Centre of the ASEAN-Russia Summit in Sochi. 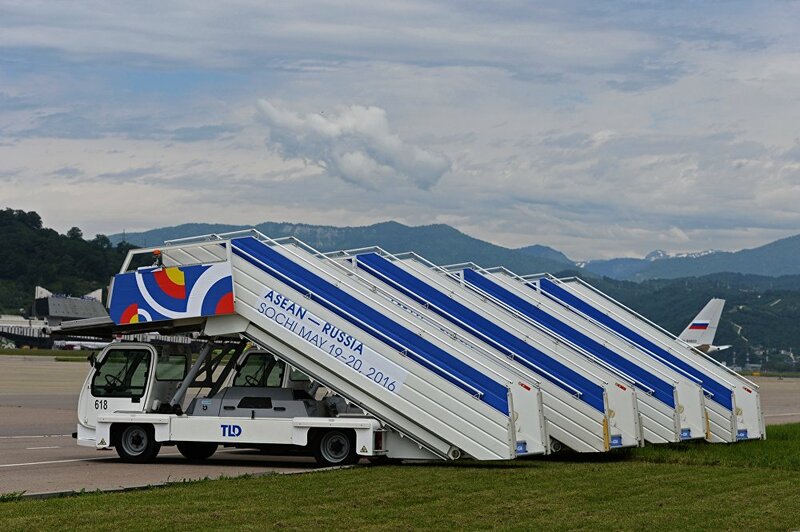 Ramps with the ASEAN-Russia Summit symbols at the Sochi international airport. 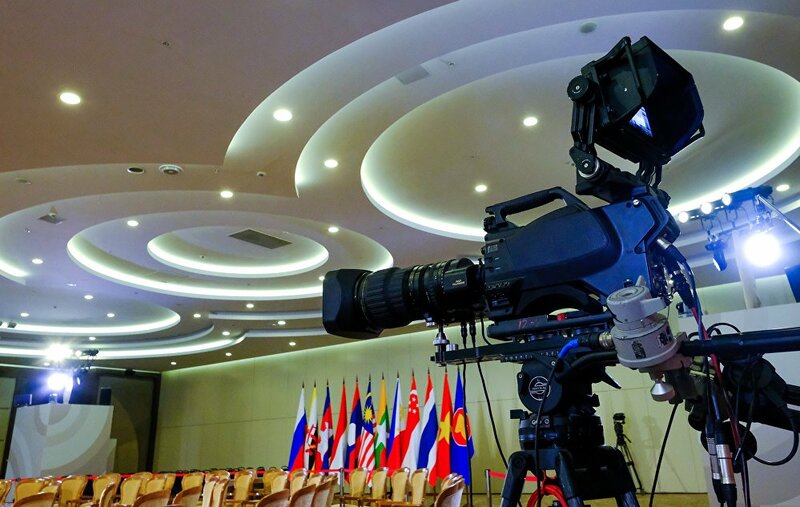 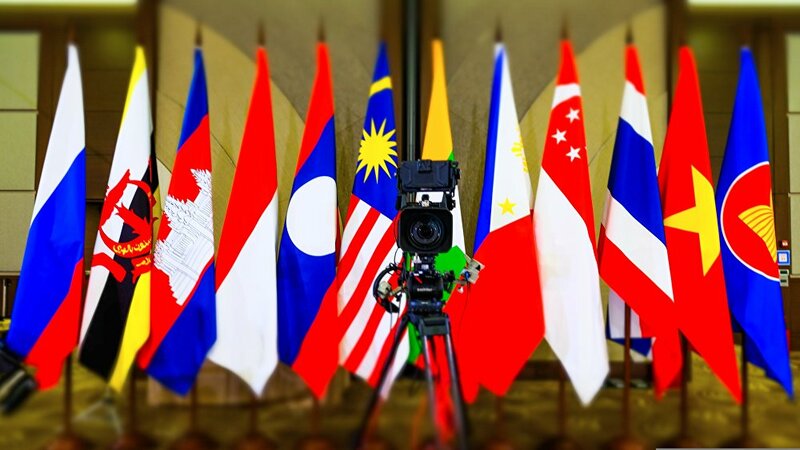 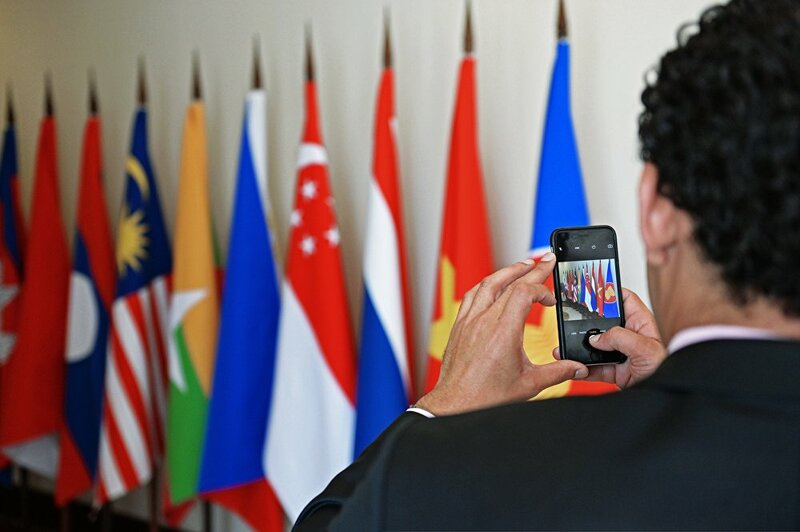 A participant takes photos of the flags in the Congress Centre of the ASEAN-Russia Summit in Sochi. 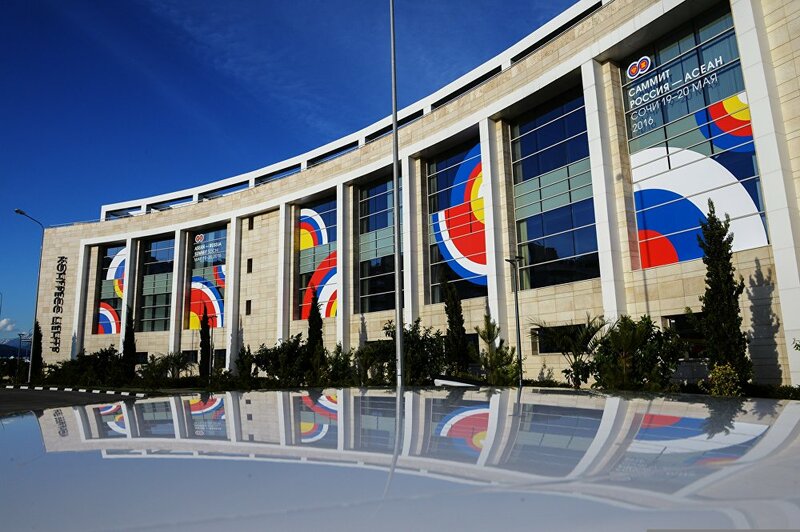 The Sochi Congress Centre, pictured, will be the venue for the ASEAN-Russia Summit. 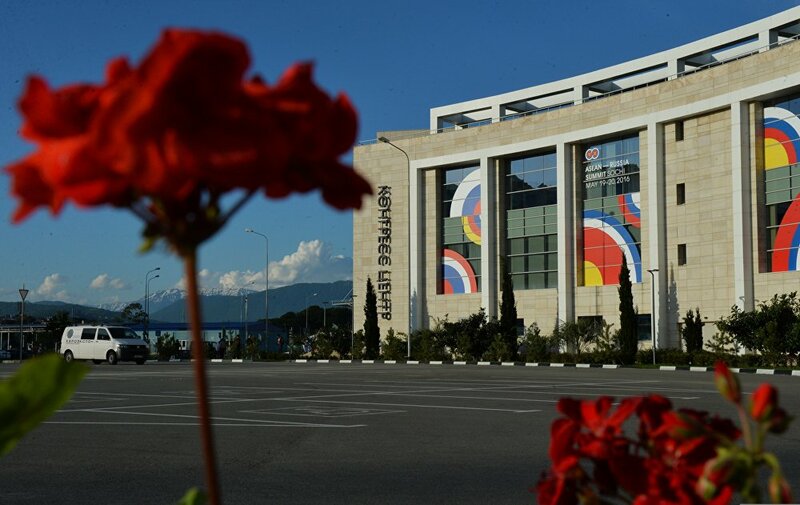 The Sochi Congress Centre, pictured, will be the venue of the ASEAN-Russia Summit. 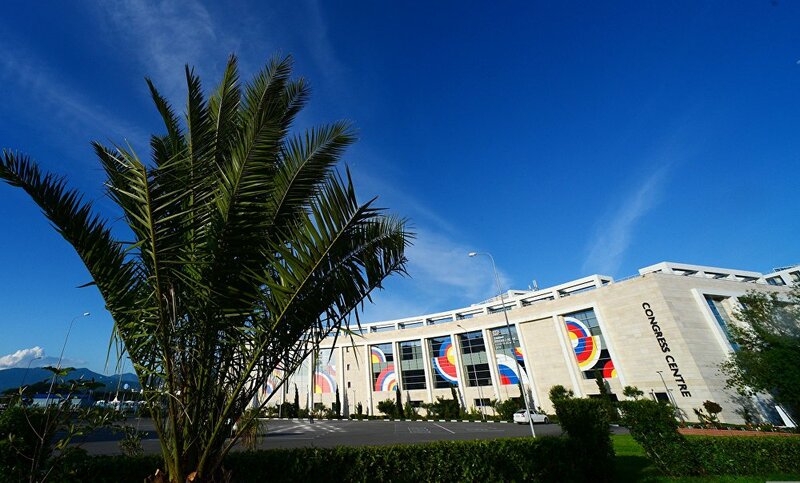 The Sochi Congress Centre, pictured, will be a venue of the ASEAN-Russia Summit. 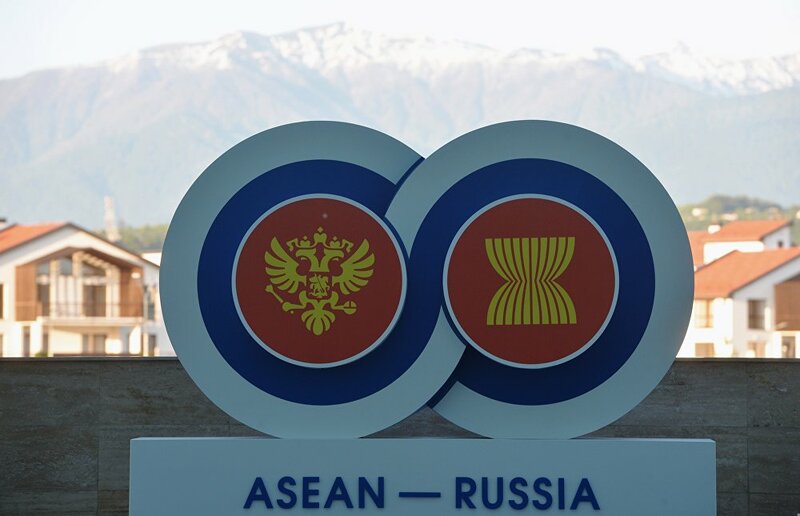 The logo of the ASEAN-Russia Summit near the Sochi Congress Centre, a summit venue. 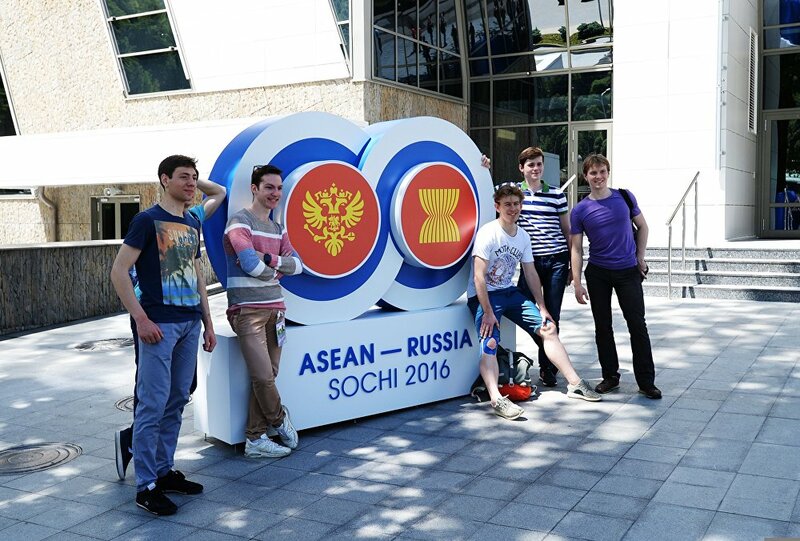 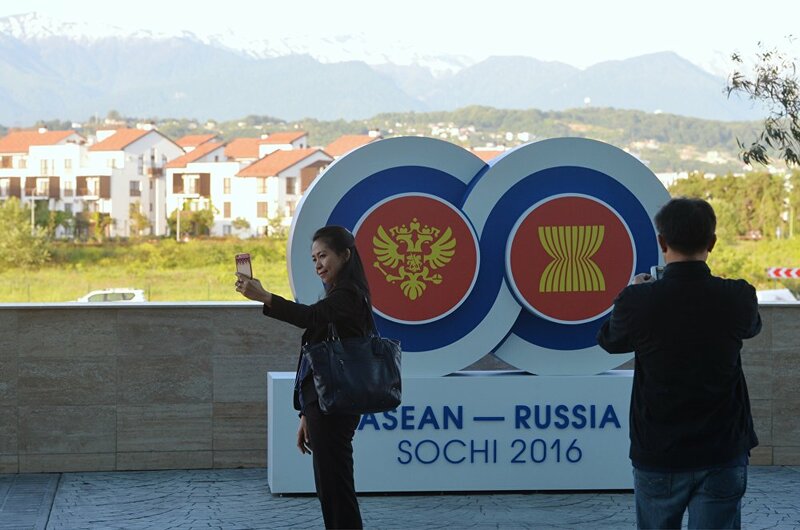 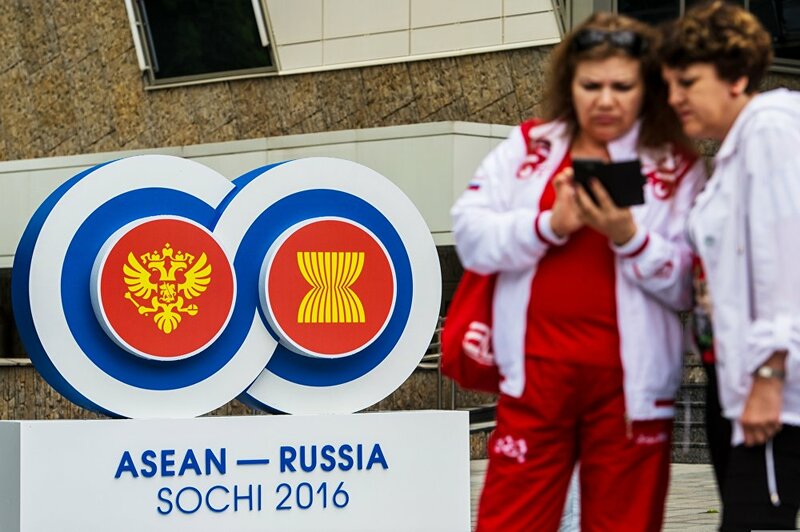 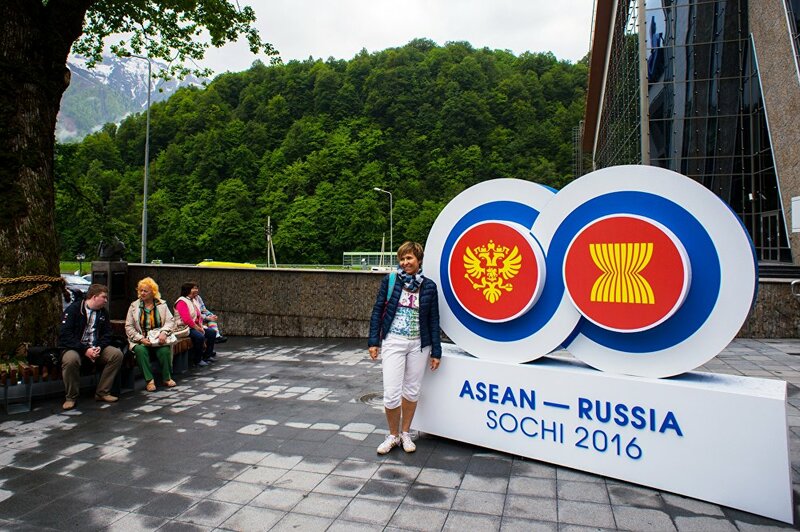 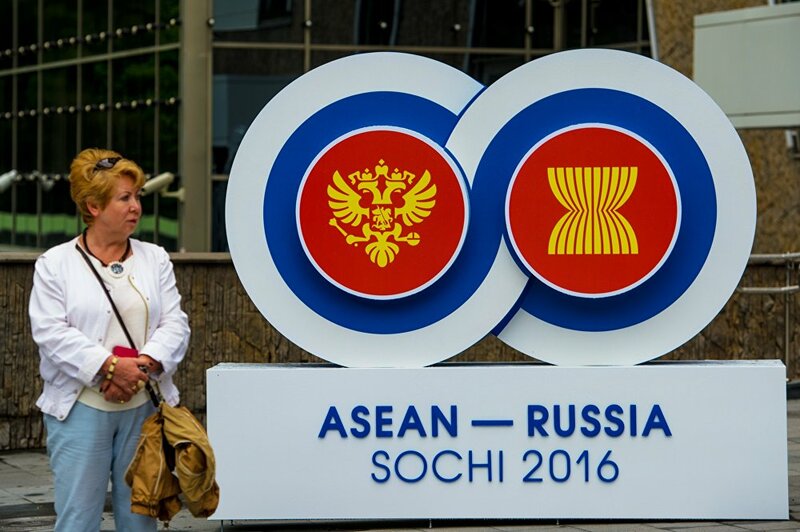 Holidaymakers take pictures with the ASEAN-Russia Summit logo near the Sochi Congress Centre, which will be a venue of the ASEAN-Russia Summit. 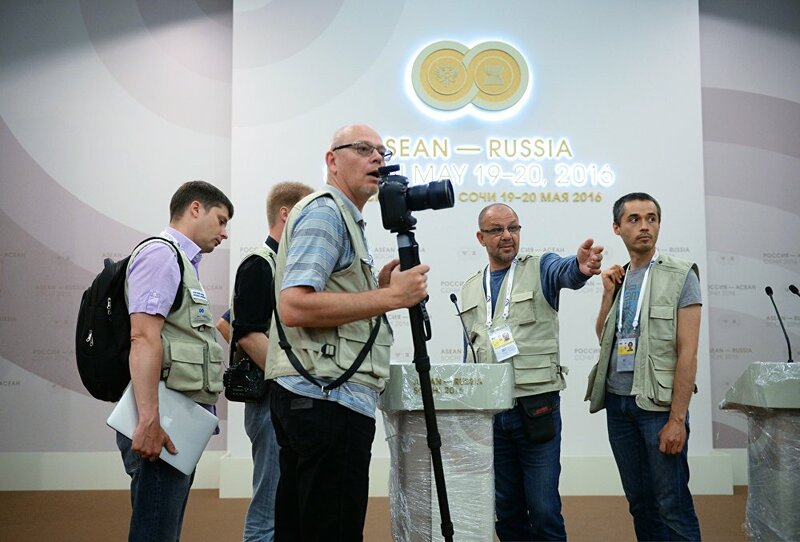 Photographers in the hall of the Sochi Congress Centre, which will be a venue of the ASEAN-Russia Summit. 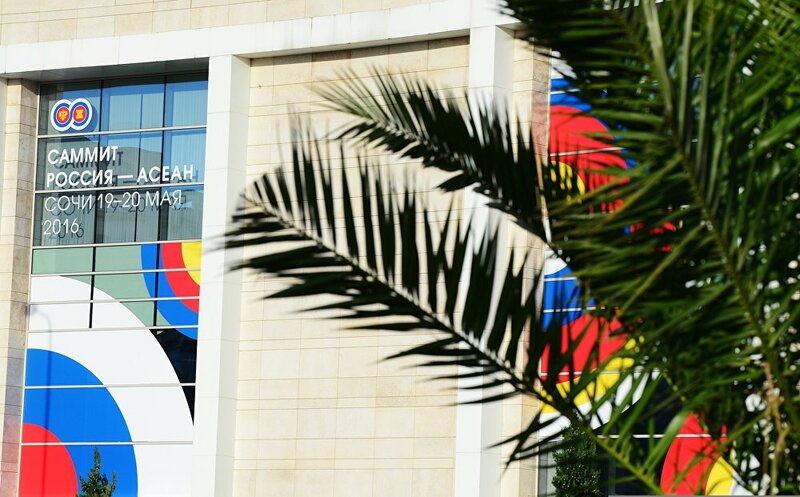 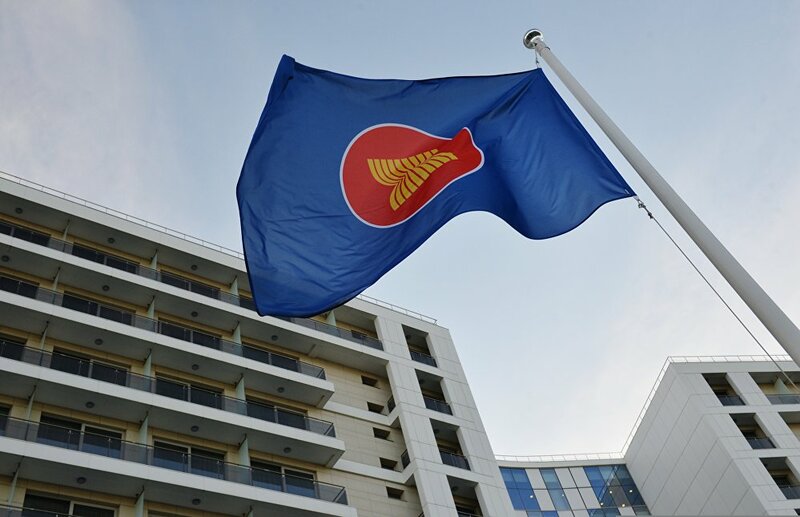 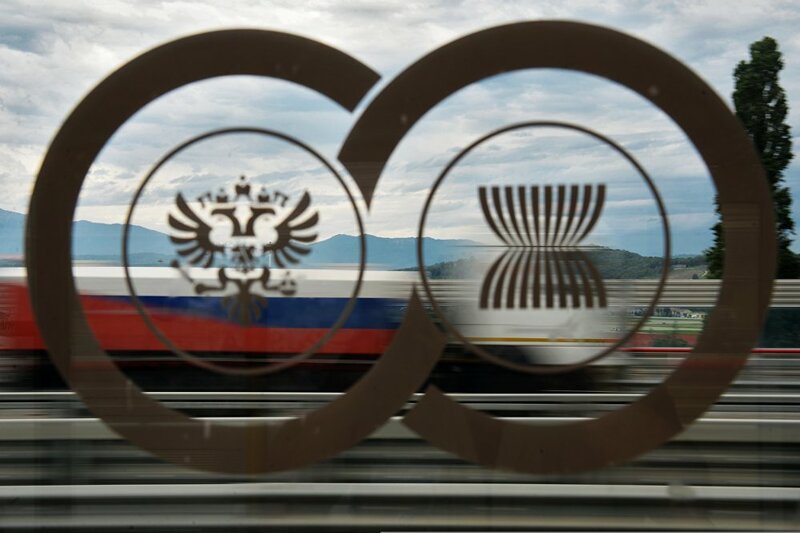 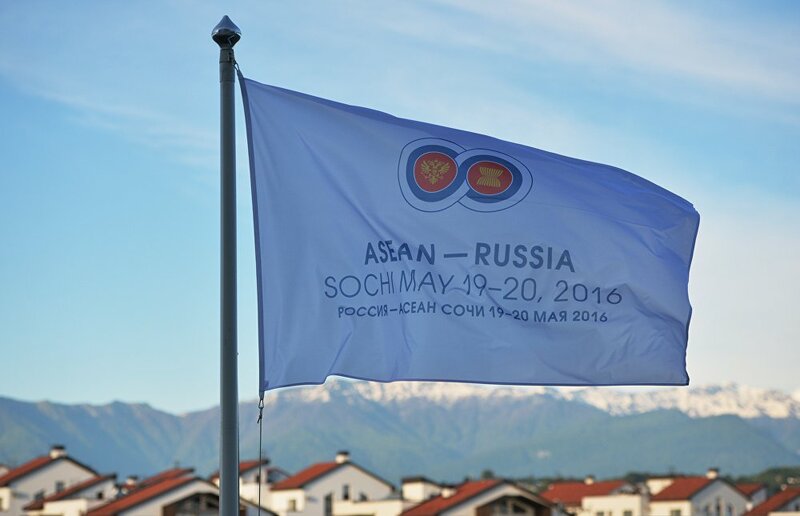 The flag of the Association of Southeast Asian Nations flies near the Sochi Congress Centre, which will be the venue of the ASEAN-Russia Summit. 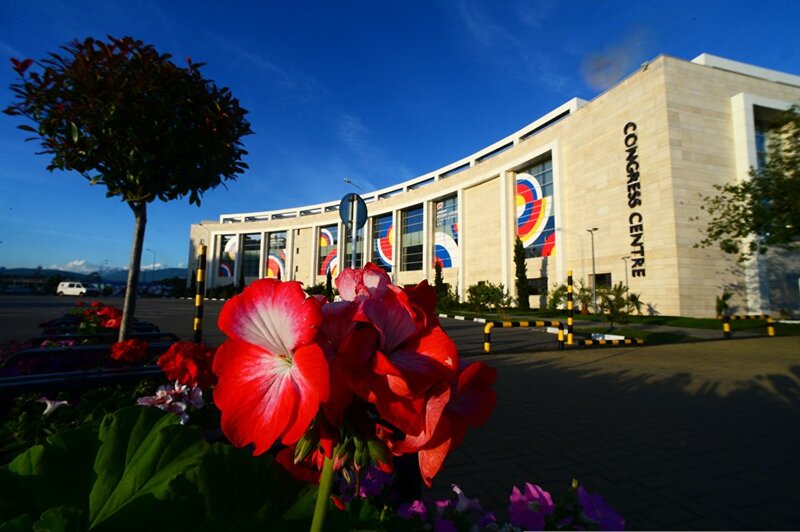 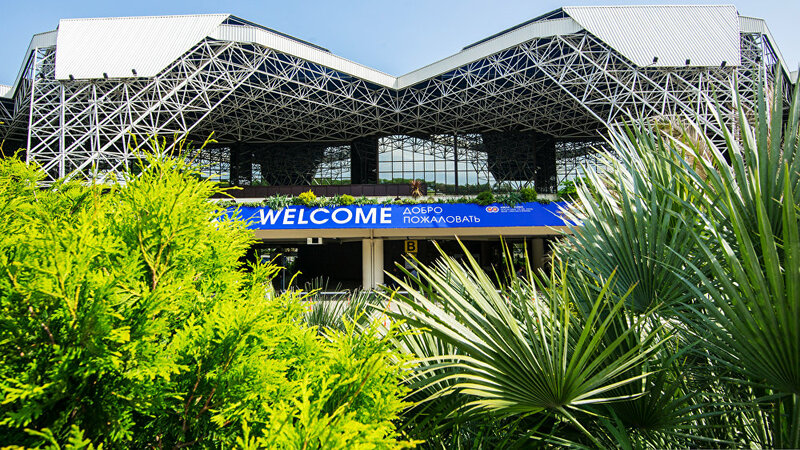 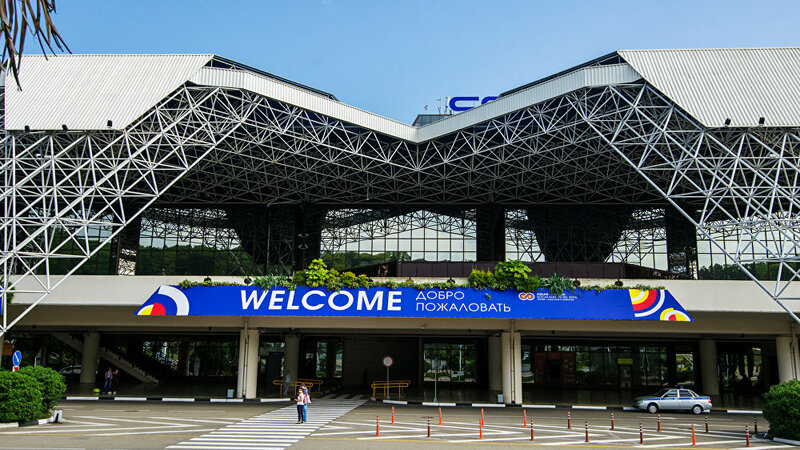 The Sochi Congress Center, pictured, will be a venue of the ASEAN-Russia Summit. 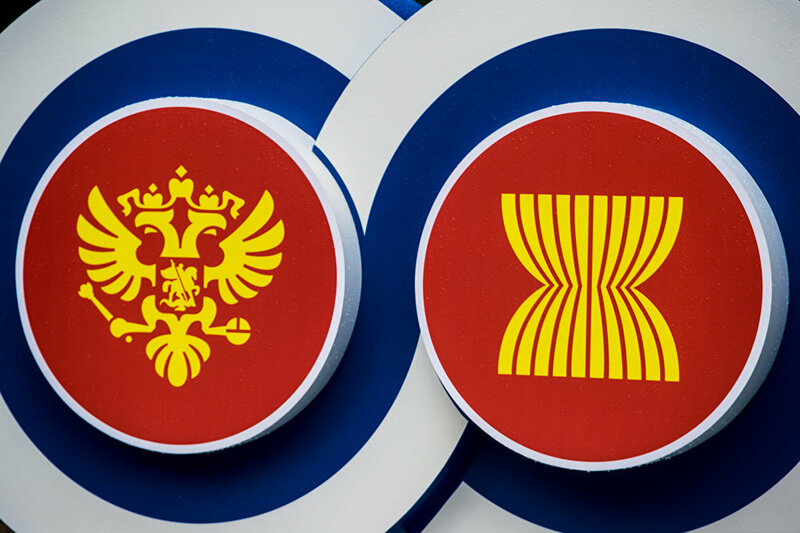 A flag with the logo of the ASEAN-Russia Summit. 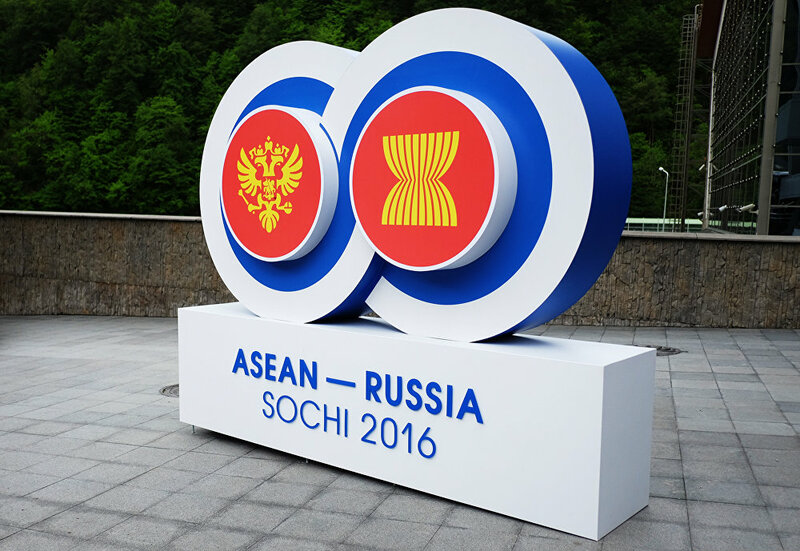 Young people take pictures with the ASEAN-Russia Summit logo. 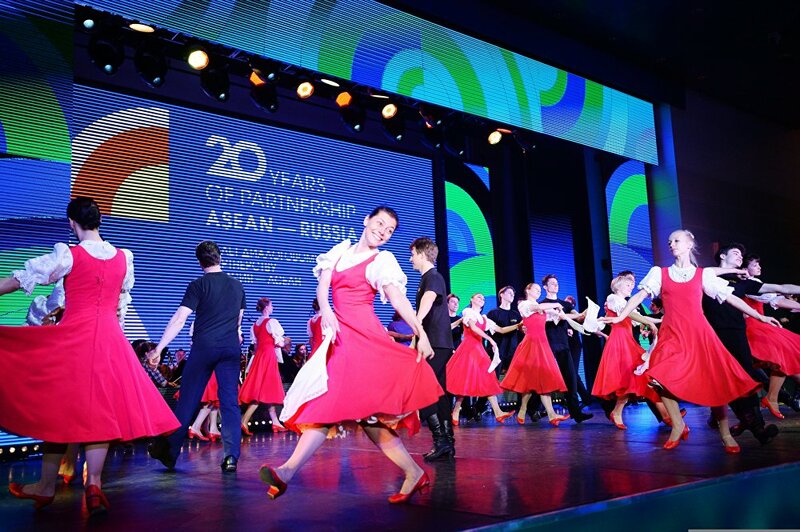 A concert rehearsal at the Galaktika (galaxy) culture center in Sochi, which will host the events of the ASEAN-Russia Summit. 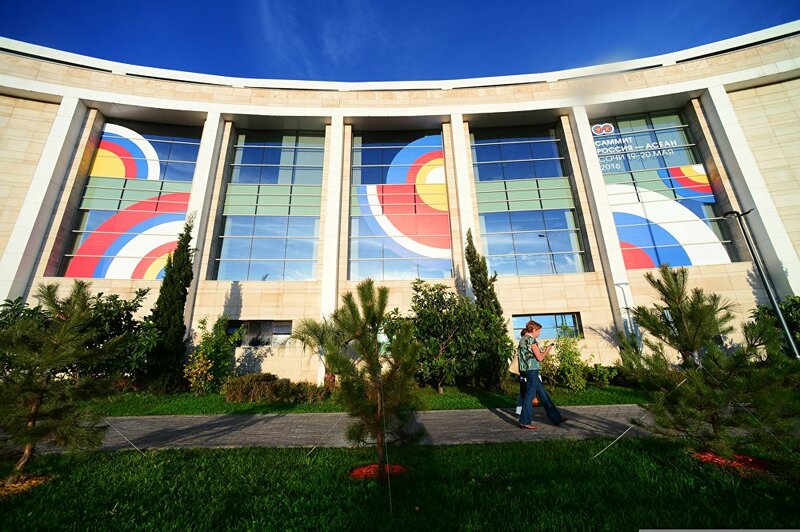 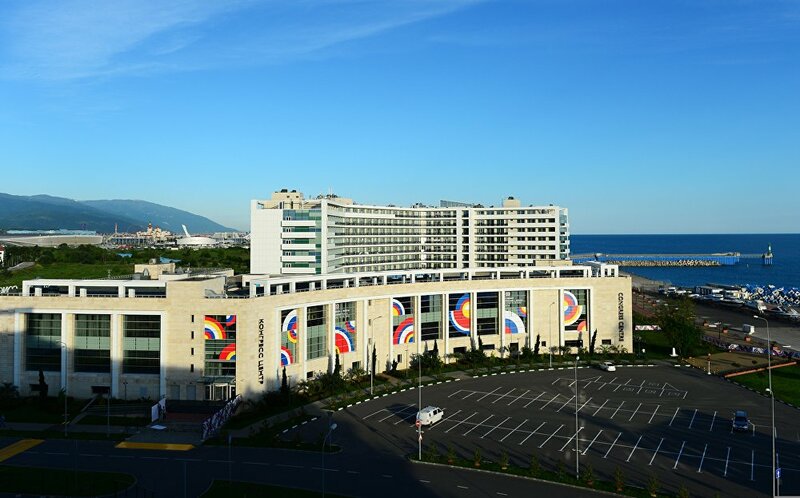 The Galaktika (galaxy) culture center in Sochi, pictured, will host the events of the ASEAN-Russia Summit. 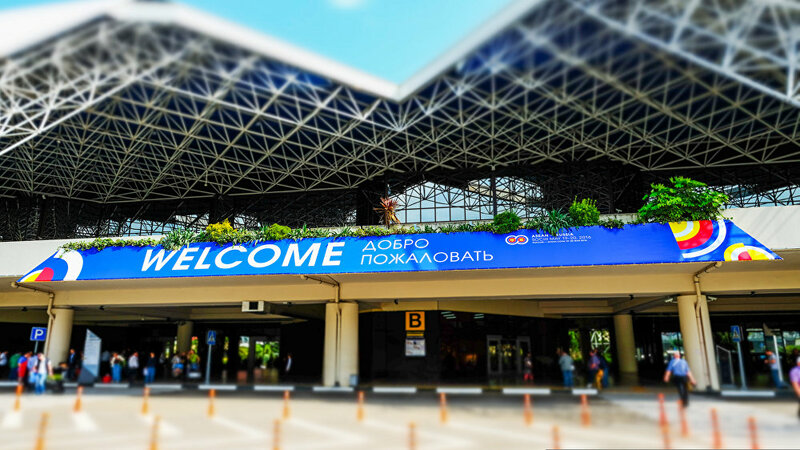 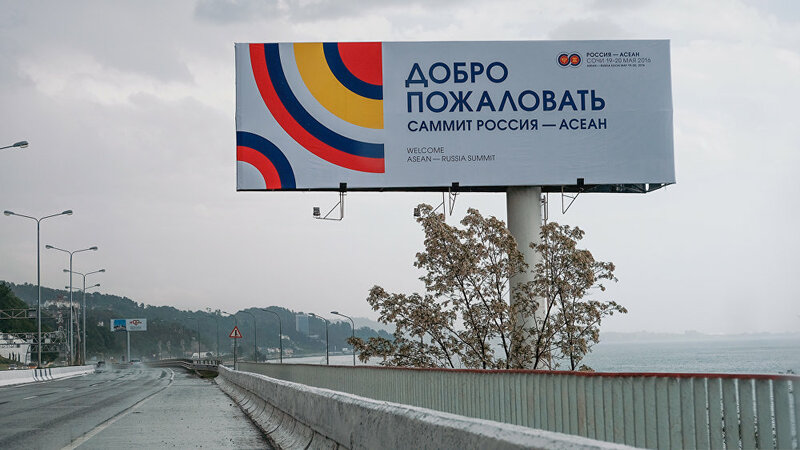 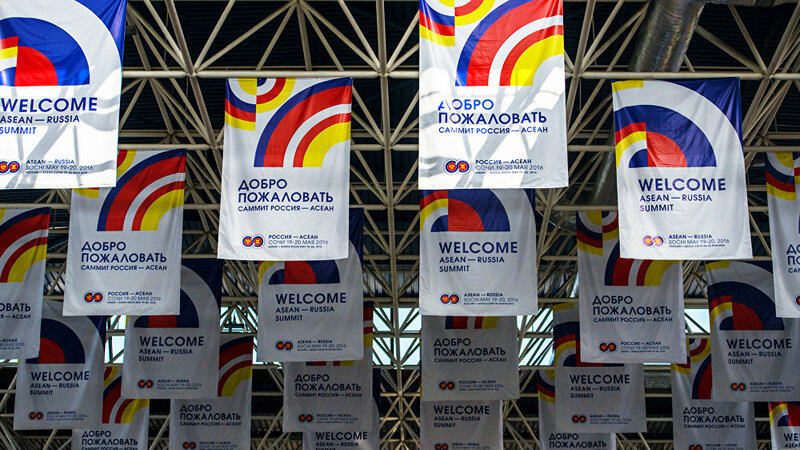 A banner greeting participants and guests of the ASEAN-Russia summit at Sochi International Airport. 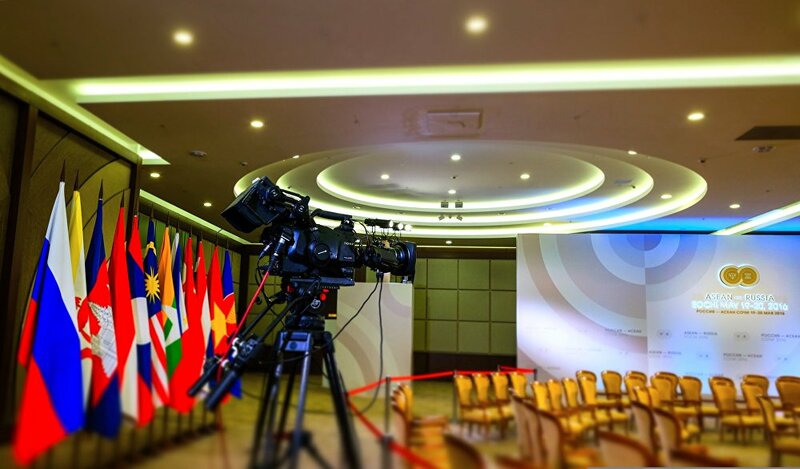 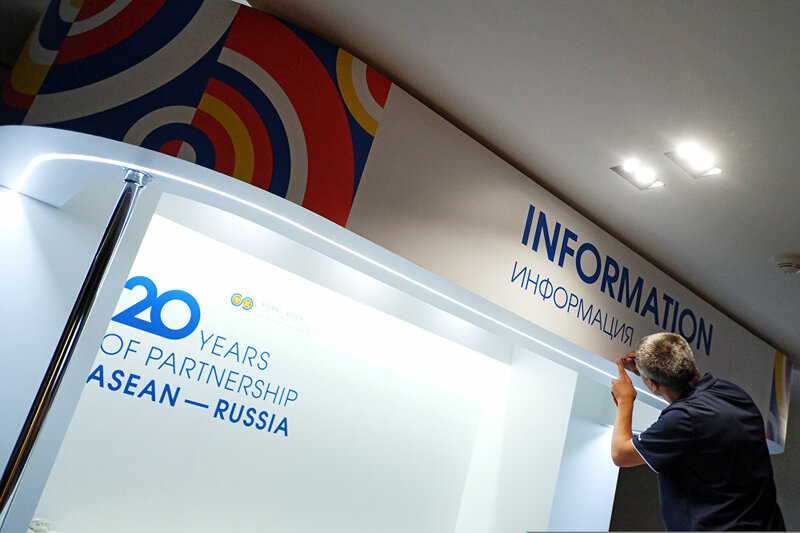 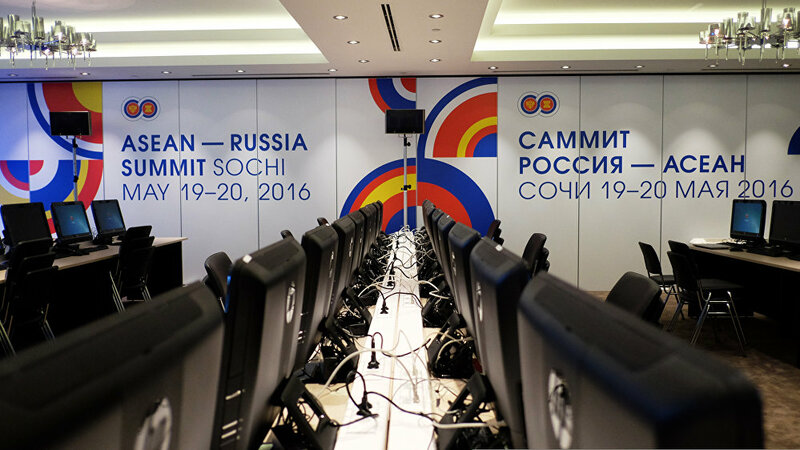 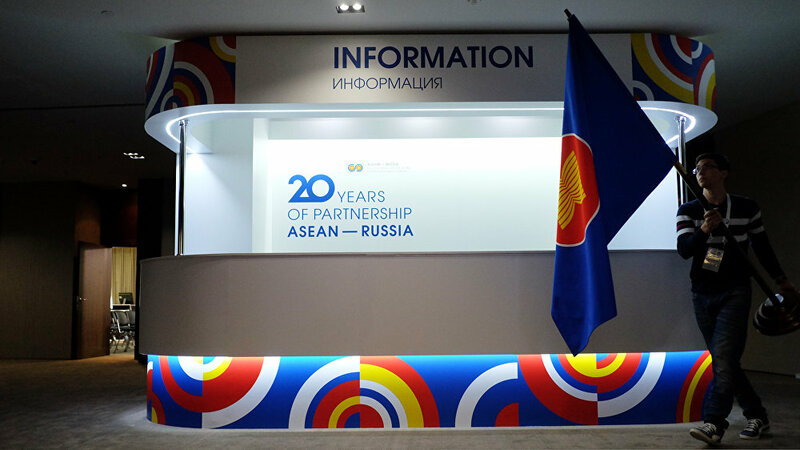 The International Press Centre of the ASEAN-Russia Summit. 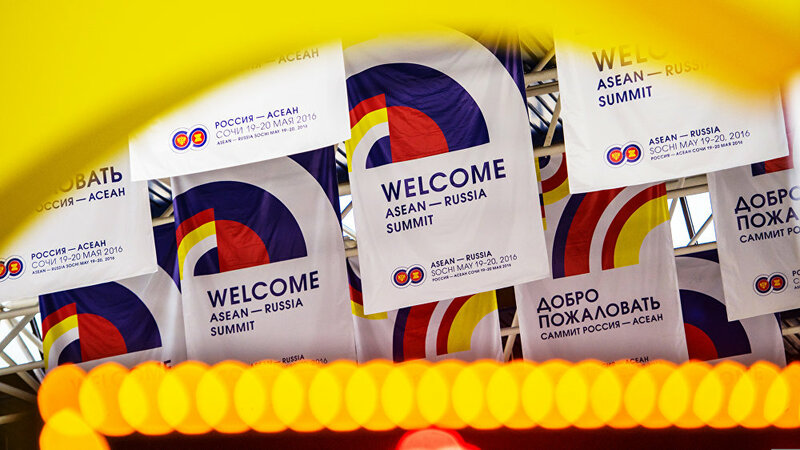 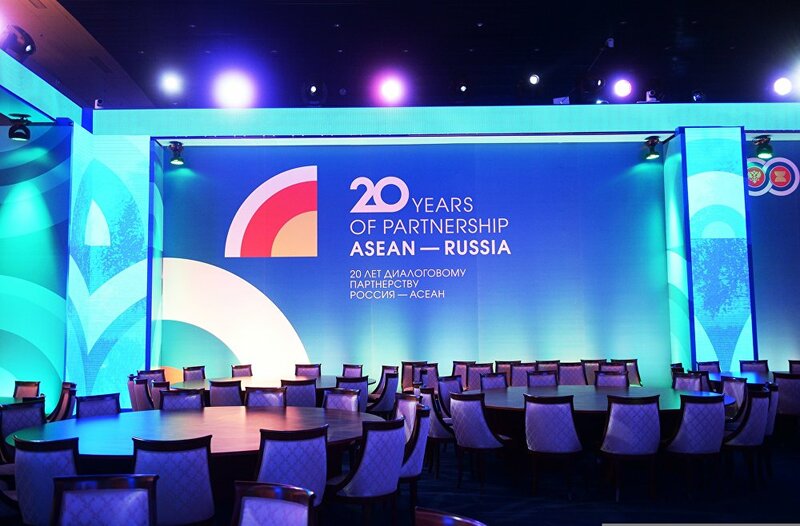 Banners with the ASEAN-Russia summit logo. 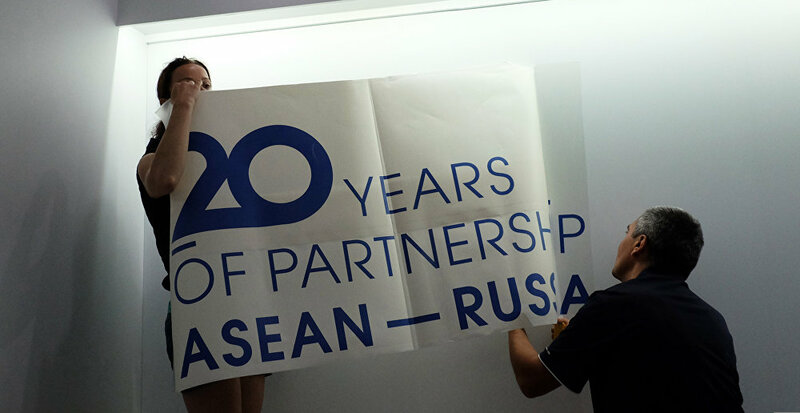 A banner greeting participants and guests of the ASEAN-Russia summit. 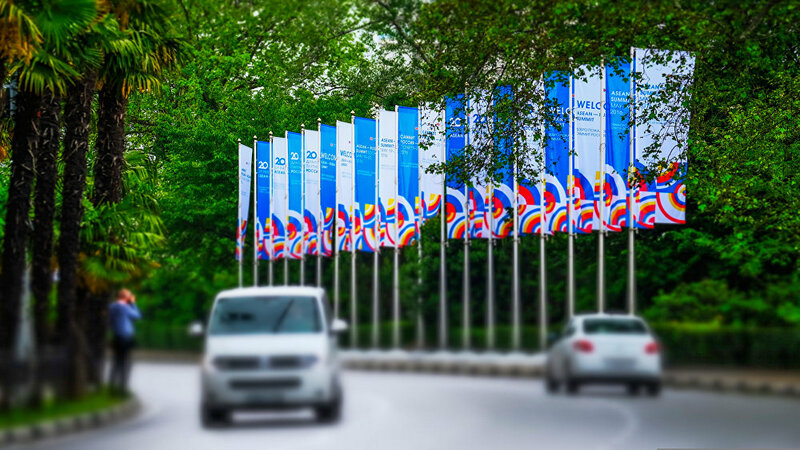 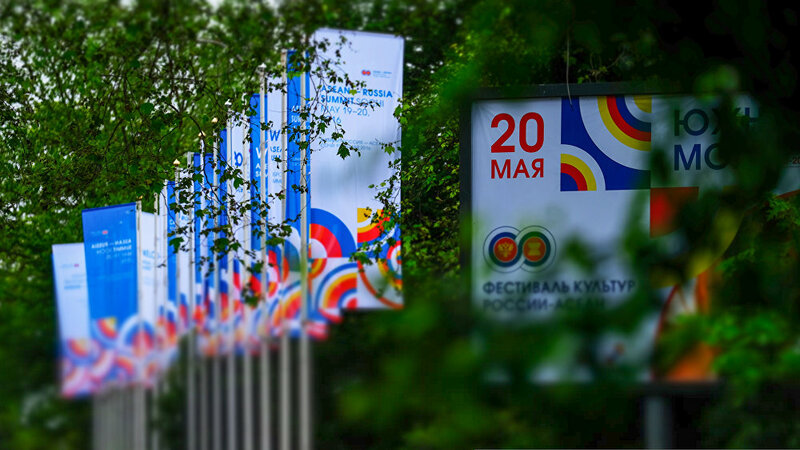 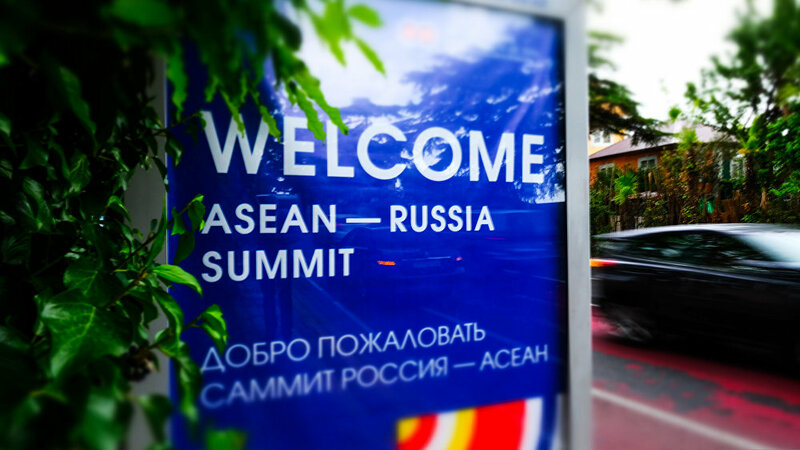 Banners with the ASEAN-Russia summit logo at the road in Krasnaya Polyana. 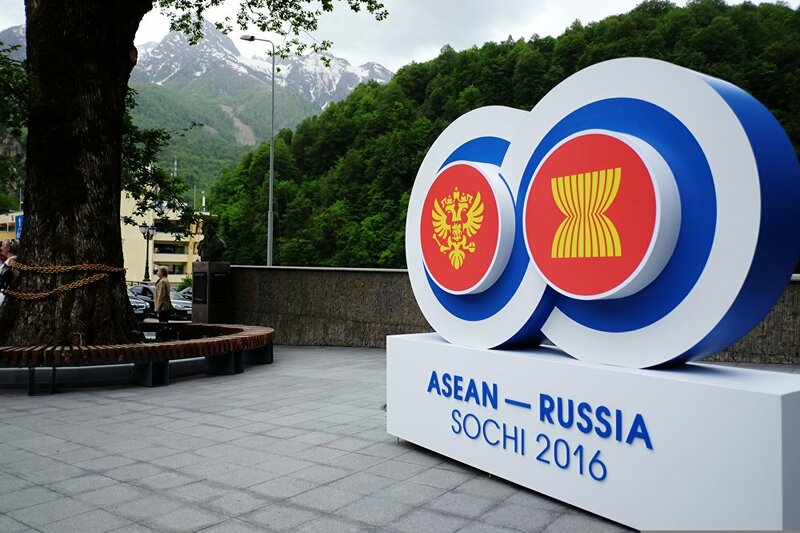 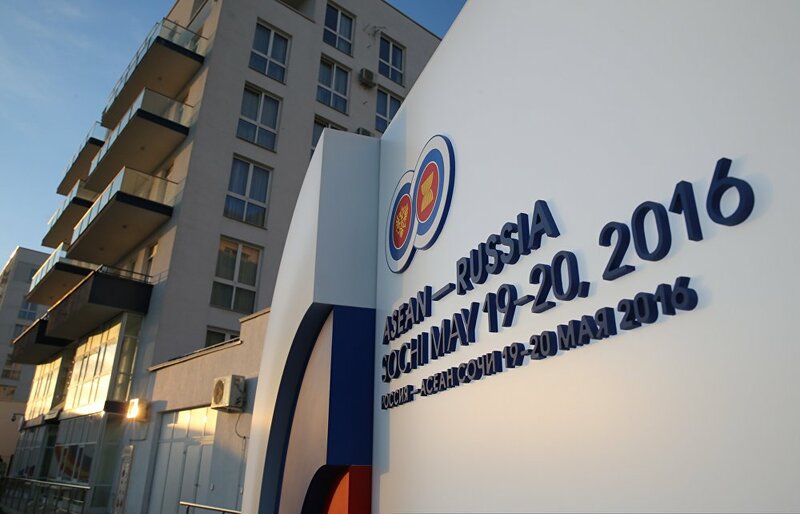 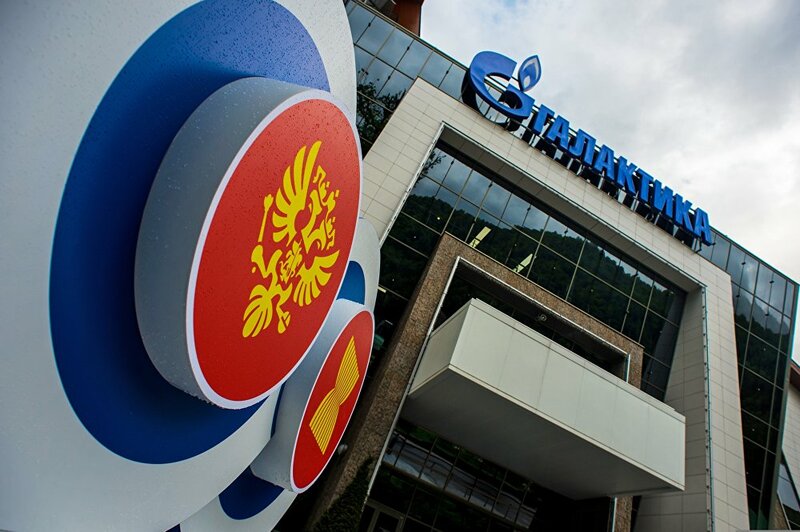 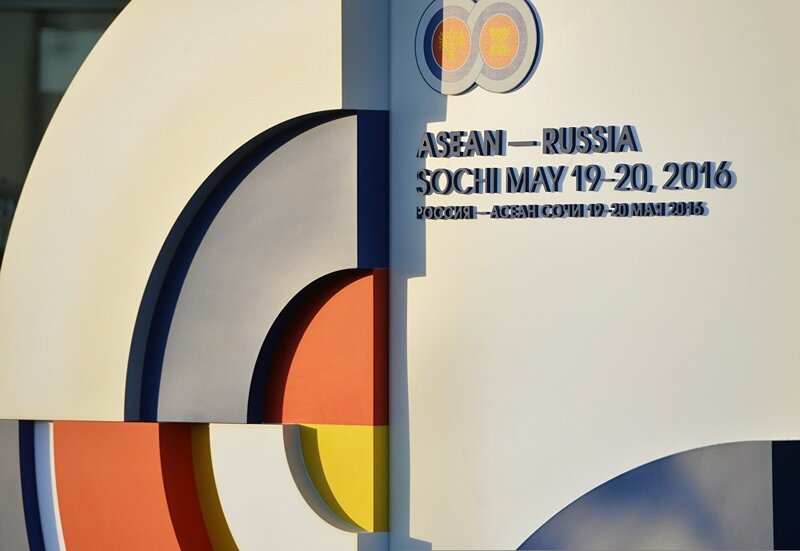 The ASEAN-Russia summit will take place on May 19-20 in Sochi. 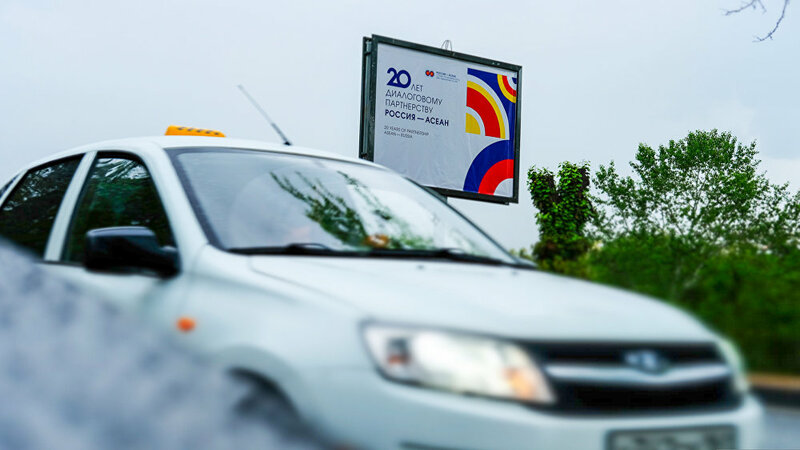 A board saying "20 Years of ASEAN-Russia Dialogue Partnership" at the road in Krasnaya Polyana. 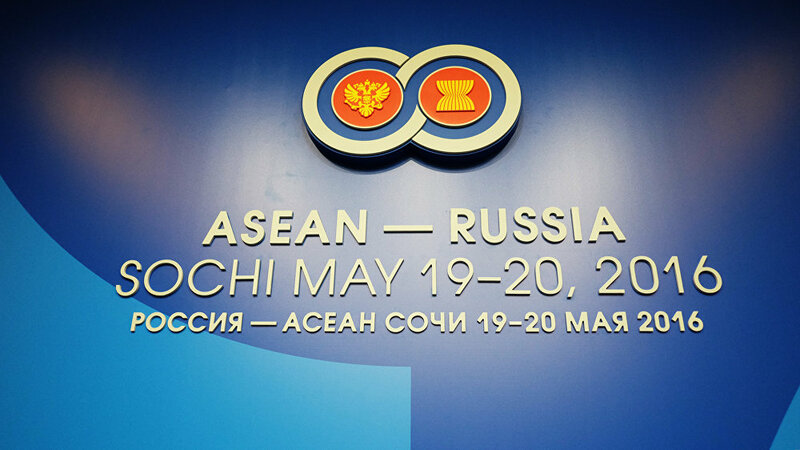 The ASEAN-Russia summit will take place on May 19-20 in Sochi. 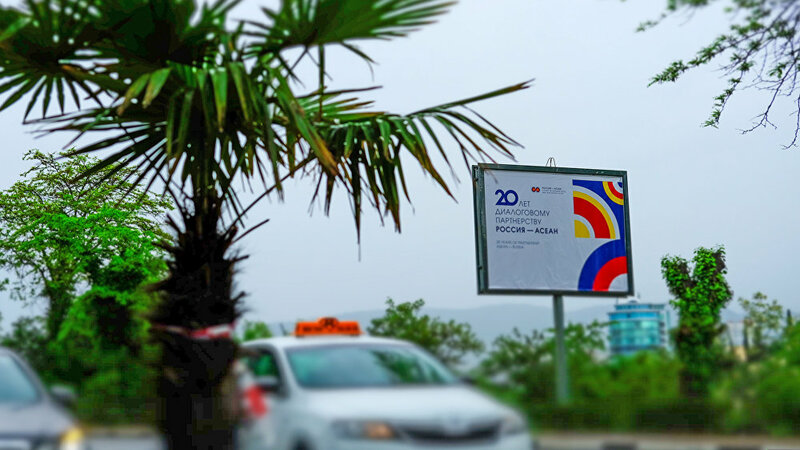 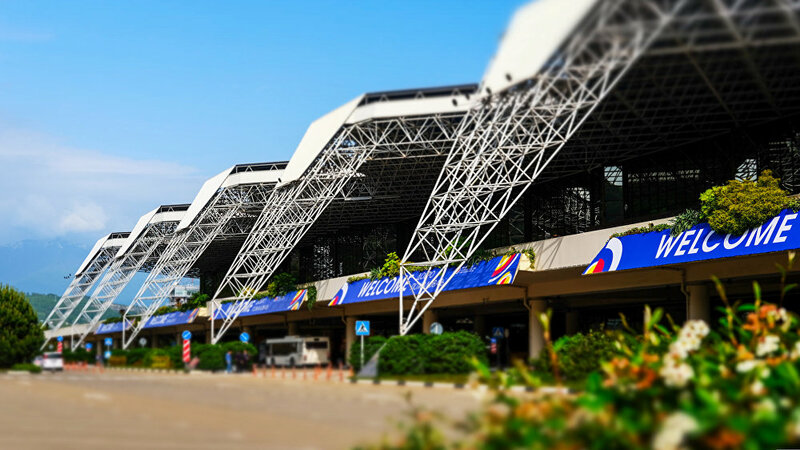 Banners greeting participants and guests of the ASEAN-Russia summit at Sochi International Airport.